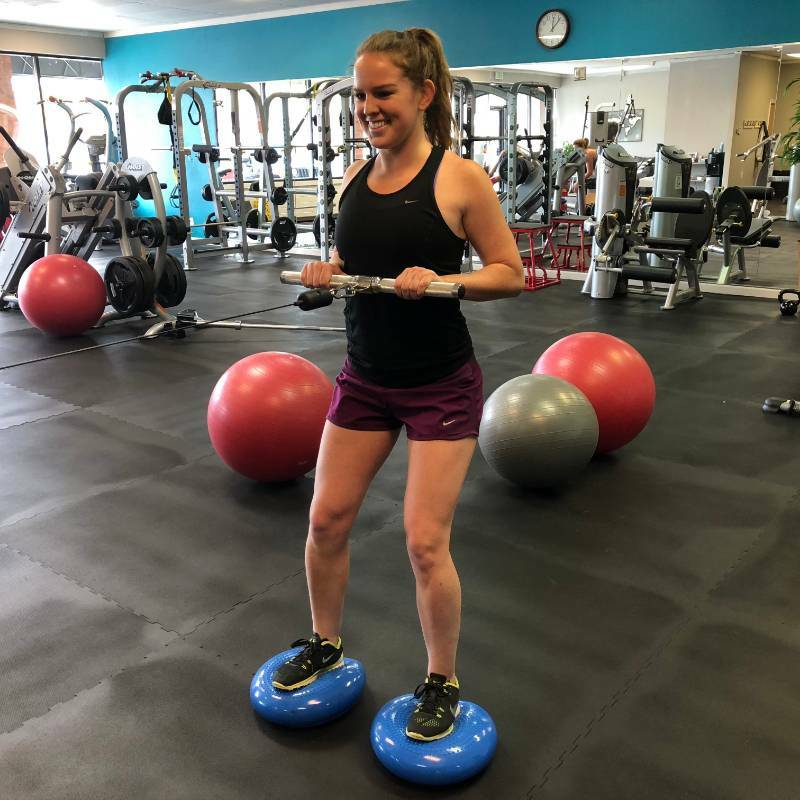 Sean Johnson is the sole owner of JRT Fit, a private personal training club in Littleton, Colorado, where he provides industry-leading approaches to injury prevention and post-rehabilitation exercise. As a mentor to other trainers, he teaches and encourages scientific inquiry as well as best practices. Sean has been a personal trainer for over 18 years and has 8 current certifications with specialties in Fitness Therapy, Performance Nutrition, Corrective Exercise, and Performance Enhancement. He has held previous certifications with ACE, ACSM, and AFTA. Prior to establishing JRT Fit, Sean served as Director of Rehabilitation Services for Foothills Chiropractic & Wellness in the south Denver metro area. His clients have included athletes, doctors, physical therapists, and other trainers. 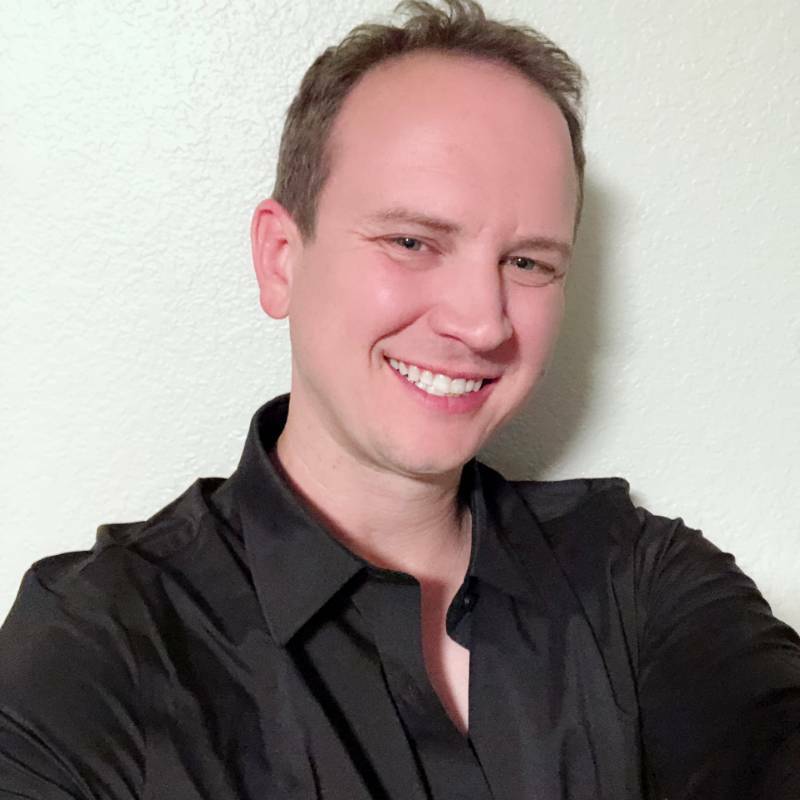 Sean started in the industry by training at numerous area gyms including Life Time Fitness, Bally Total Fitness, Club USA, and 24 Hour Fitness before taking on his first co-ownership and management role in 2001 at BodyWerx, a private membership and personal training club in Littleton. 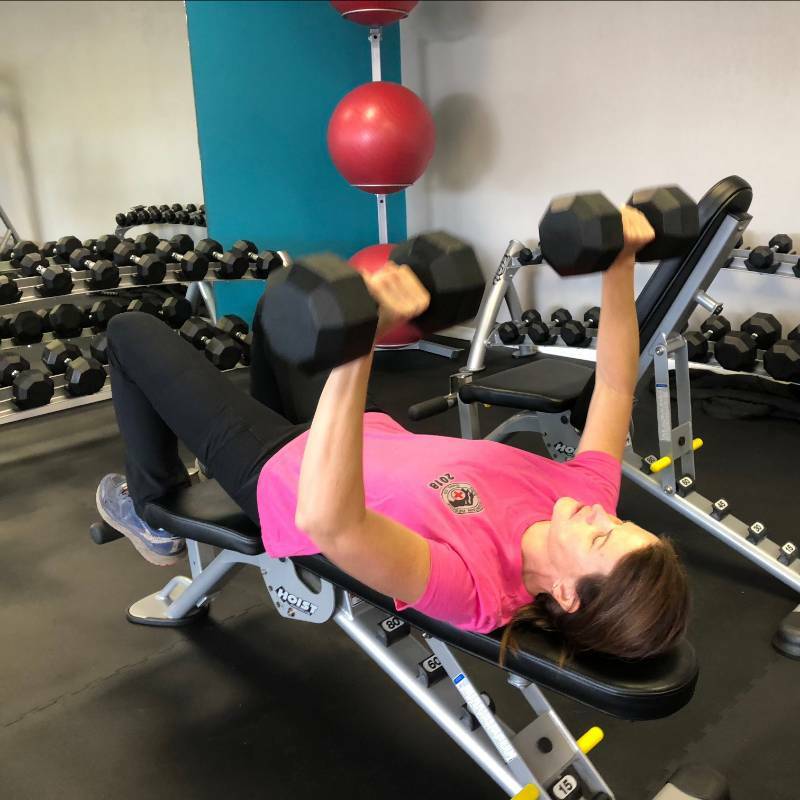 "At the ripe old age of 16 I was almost bedridden with back pain to which the back specialist finally gave me a diagnosis of degenerative disc disease where seven of my discs were over halfway gone. He said my back was the equivalent to an 80 year old's. This is where my passion comes in. I have spent my life researching and helping others prevent pain while accomplishing goals they never dreamed were still possible. I was told no matter what I did that I would be paralyzed from the neck down by the age of 30. I am now 36 without pain most of the time all without medication or surgeries. 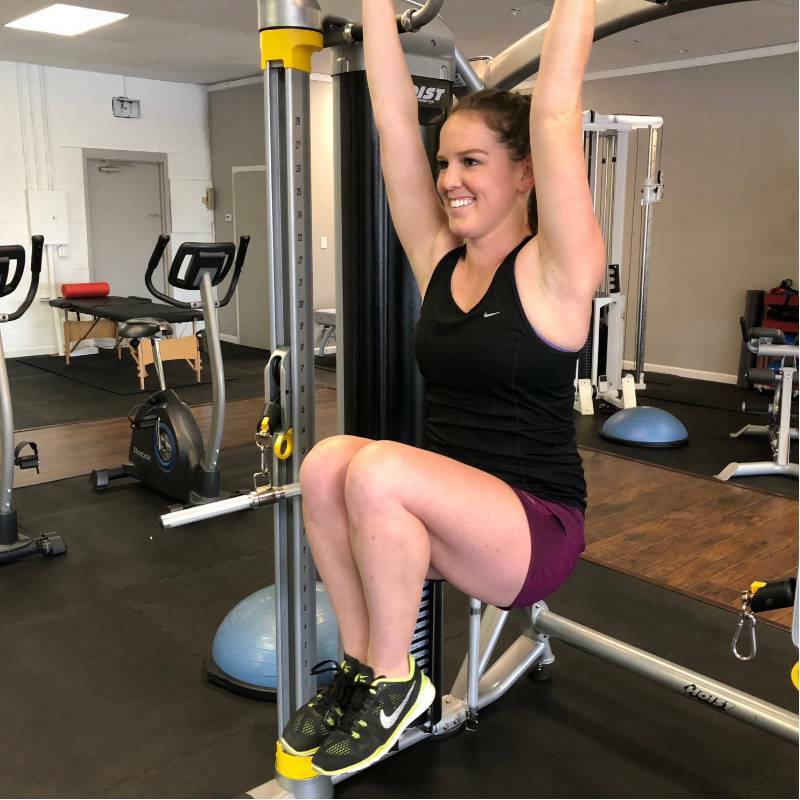 This has given me the passion and the knowledge needed to help people get to their goals even when they first believe it isn't possible anymore." I have had many trainers in the past. All were good, but none as good as Sean. Try out his assessment and find out for yourself how he will change your life! Sean is wonderful to work with. He has personalized a program for me and focuses on exactly what I need to become strong and fit. His positive attitude and constant support enables me to exercise even though it is my pet hate. Sean Johnson has been amazing to work with! I am three weeks into my training sessions and I could not be more pleased. His style and approach are second to none, he has helped me with diet and strength training as well as establishing a cardio workout plan. He is extremely knowledgeable, professional, punctual, and fun to work with. I would recommend him very highly to anyone serious about accomplishing fitness goals and making healthy lifestyle changes! Knowledgeable, experienced and individualizes the training for where I am now. Gives me hope! So far so good! Sean is knowledgeable and personable. Very happy to have his help with my lifestyle change. We are just getting started, but I was very impressed with the level of detail and information provided as we did my fitness assessment. I have a long way to go, but I feel that Sean has the expertise to help me reach my goals! He's a great teacher with a ton of experience. I brought my wife to Sean after major brain surgery. She is re-learning to walk and attempting to regain muscle mass. We had been to a variety of physical therapists, and we knew from the first assessment that Sean was the one we were looking for. "I brought my wife to Sean after major brain surgery. She is re-learning to walk and attempting to regain muscle mass. We had been to a variety of physical therapists, and we knew from the first assessment that Sean was the one we were looking for. He is incredibly knowledgeable and catered our program to specifically what my wife needed to overcome her challenges. His professional demeanor is paired with his genuine desire to help people get better. My wife looks forward to her sessions. Every session builds towards recovery. She always leaves with a smile on her face and a belief in herself. This is a testament to not only Sean's ability, but his personality. Sean is very professional and knowledgeable in the areas of personal training and nutrition. Being overweight and out of shape, Sean assessed my fitness level and designed a plan specific to my needs. He has helped me learn to exercise correctly and effectively, as well as providing input on diet and nutrition. I am on the path to better health, and I thank Sean for his part in that. This past week I was able to ride a bike for the first time in 24 years and it was absolutely amazing!! Sean also is very punctual and is available at times that are convenient for my schedule. Sean is a consummate professional in the health fitness industry. His knowledge and expertise are simply unparalleled. I hired Sean as a personal trainer and over the year I worked with him he helped me increase my knowledge base from proper lifting techniques to strategies in managing eating habits and pitfalls. He educated me on the traps that exist in trying to eat healthy versus dieting and the tricks that food labels can play in their descriptions of "healthy" food. While I trained with him, my muscle gain and lifting capability significantly increased. Having a pre-existing knee injury, Sean was very careful to teach me the proper techniques to exercise safely for the rest of my life. I cannot emphasize enough how much I learned with Sean and I know anyone would benefit from training with him for any period of time. The information on muscles exercises and f ormation was great information and understanding. Sean goes into great detail and makes everything easily understood. The first meeting for the evaluation wad awesome and I believe I will be able to get to all my goals working with Sean. "Sean helped me recover from a knee injury. His knowledge of the human body and kinesiology is amazing. His methods had me back up and running again in no time. He taught me the proper way to exercise so I have had no further injuries since." -- Jeremiah J.
Sean is one of the most knowledgeable and personable trainers I've ever met. Highly recommend him and his services to anyone who wants to get in better shape and be healthy while doing it. My results were outstanding and I learned so much. Sean believes in quality not quantity and the J Range training is the BEST form of training out there. He really goes above and beyond during his training sessions with you and he makes sure you are doing everything correctly. He truly cares about getting you to your goals, will tailor the program to fit YOU, and is more knowledgeable than any trainer out there. He is the best trainer I have ever seen. When I first started with Sean, he told me in order to reach my goals, that I needed to commit 6 months to a year with him and he would get me to my goals in a healthy way. We set up 2 days a week with him teaching me the program and the rest of the week, I would do what he taught me on my own in the gym. He takes the time to learn about you and your physical strengths and limitations. 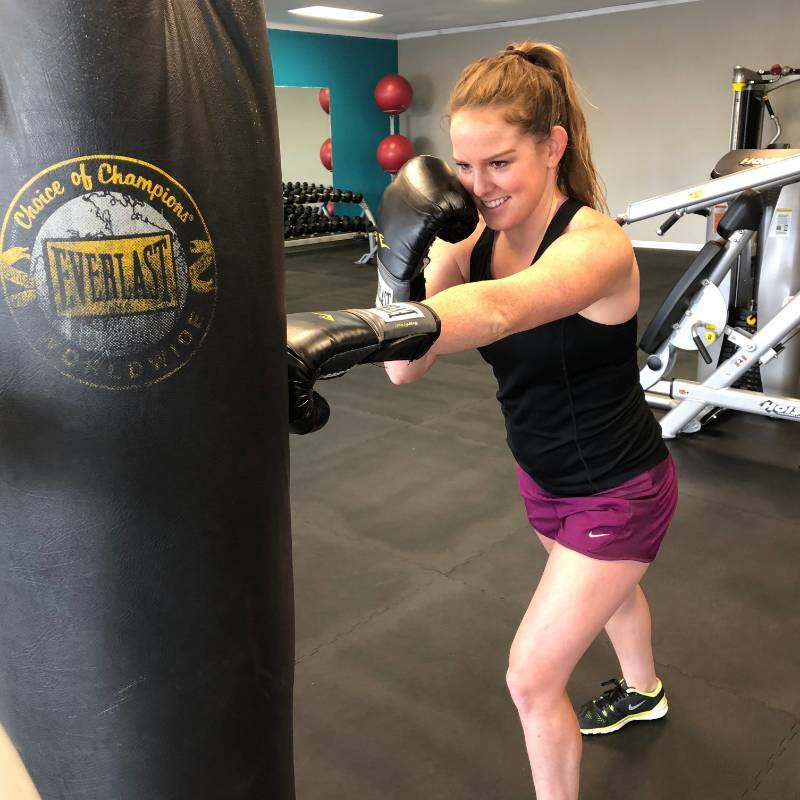 For example, when I trained with Sean, I had to be very careful with my knees, as I have patella femoral syndrome, which can really limit the things I can do in the gym or out. He took that into consideration when setting up my program. Before Sean, I could only do about 50 pounds on the diagonal leg press. Training with Sean, I gradually got to pressing 325 pounds with no pain at all to my knees. I also went up to 50 pounds doing a chest press. When I saw how my body had changed, I couldn't believe it was me. I was amazed and I LOVED the results. The results are great. He is very knowledgeable of body mechanics and body chemistry and he applies this knowledge in a completely personalized way. For instance, I wanted to get in shape for ski season and he put together a custom program to get me ready. Result: great ski season. Now that summer is here I'm looking at rock climbing and he changed up the training program to match the new goal. The gym itself is full of brand new high-end equipment. Great! Sean Johnson is one of the most talented and knowledgeable people I know in his field. He truly takes time to help you reach your specific goals and tailor a workout to you—rather than placing you on the same program as everyone else. He is easy to get along with and his methods are very effective! If you are looking for a trainer—save yourself a headache and pick Sean to begin with. I even had to get a new drivers license because of how effective his methods are. Sean has been my trainer for 16 years. When I was a regular weekly client with him from July 2000 - August 2004, I had amazing results! Then I moved away and would train with him whenever I visited the Denver area; he even worked with me long-distance over phone and email to review my training logs, provide feedback, and update my routine, but I still tended to slack off on the exercise routine and even more on the meal plan because I didn't have the in-person accountability of having him push me in the gym and talking about food. If I could still train weekly with Sean, I would because Sean truly knows what he's doing. He continues to pursue knowledge in this field by keeping up with research and correlating that information together so he has a clear understanding of how the human body works best. During a training session, he is very attentive to form and making sure that body and joint alignment are correct while moving through an exercise. I've never experienced or observed him being distracted by other people in the gym while his client was in the middle of reps. Because of his knowledge and attention to the individual he's working with, Sean is the only personal trainer I trust to train me in weight lifting & guide me in developing the correct dietary intake. Very pesonalized training for my goals, age, and condition from a highly certified trainer (Fellow level). Fabulous equipment and convenient location. It has been fun to watch my fitness, strength and flexibility increase substantially over the last few years. Excellent training! I worked with Sean for 5 months and gained a great deal of strength and flexibility. He helped me learn to maintain the correct form and technique and built my strength and confidence each training session. I am stronger now, at age 56, than I was 20 years ago! It's awesome to hoist that carry on bag into the "storage bin above" with nary a sweat or worry! I moved out of the area, so I could not continue with training, but I have been able to keep using the techniques and exercises Sean taught me. If you have ever been thinking about bringing your fitness status to the next level, give him a call! JRT Fit helped me get my back strengthened after a slip disc. The combination of a chiropractor and exercises tailored by JRT Fit put me on track to enjoy a summer of biking in Denver. 500 miles and counting! I am a multi-goal person with a whole lot of issues; this hurts, this is not working properly, I have this imbalance but I want to compete, etc.. so I'm not the easiest to work with. Also, I want to understand things on a functional level, not just a "do this" level and never know what's going on or why I must do it a particular way. Enter Sean: the wonderful trainer who quite literally knows and loves fitness in every aspect. He explains things so thoroughly and keeps me motivated as we work through the exercises. He also took the time to learn and establish a starting point with my multiple dysfunctions and help me reach what I am striving to work for- without compromising the integrity of my wimpy joints!! I cannot rave about him enough, he truly is an amazing trainer. With his help, I am learning more about how to use the proper form while I'm doing my own workouts between our sessions. 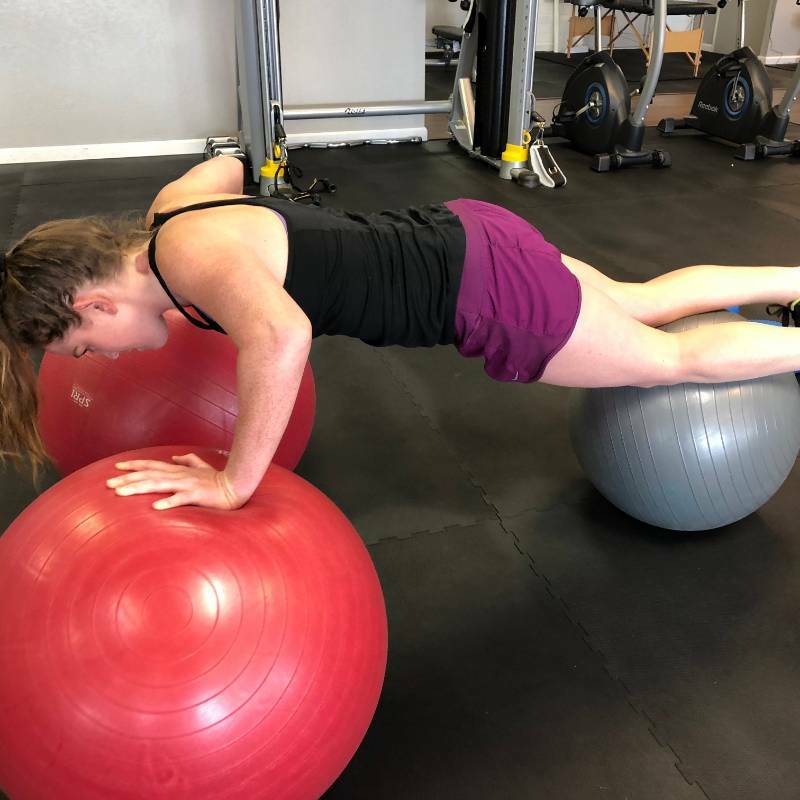 I am paying more attention to my form and how important it is to not just "go through the motions", but to actively be aware of the movements, muscle contractions, and the positions you are in. This helps prevent further injury which tends to happen to weight lifters like me!! I have only done four sessions so far and I cannot wait to see my future results from training with him and how his knowledge will help me in the future! Thanks Sean for all you do! Sean Johnson is truly passionate about every facet of physical fitness; from nutrition to strength and endurance and everything in-between. He shares the "who, what, when, where and why" of everything he has me do so that I understand the reasoning behind the routine he assigns. He is a great motivator and his encouragement is never-ending. I've notice a marked improvement in my strength and posture (oh, my posture was horrific!) since beginning my training and am so motivated to keep improving! You can't go wrong with Sean at JRT Fit.